Why is it important to have a Paternity Policy and Procedure? From April 2016, Employment Law was amended to take into account the recent introduction of Shared Parental Leave. Now that 5th April 2016 has passed, it means that the provision to be able to take Additional Paternity Leave (APL) is no longer open to fathers to be. This is because of the implementation of Shared Parental Leave which is now fully in effect. Shared Parental Leave is the option that father’s should chose if they want to take longer than the two weeks open to them with the standard Paternity Leave to help care for their new baby in conjunction with their partner. From 6th April , Additional Paternity Leave ceases to exist and our new policy has be written as of April 2016 to reflect the updated laws. As an employer you are legally required to grant expectant fathers Paternity Leave in line with employment law. 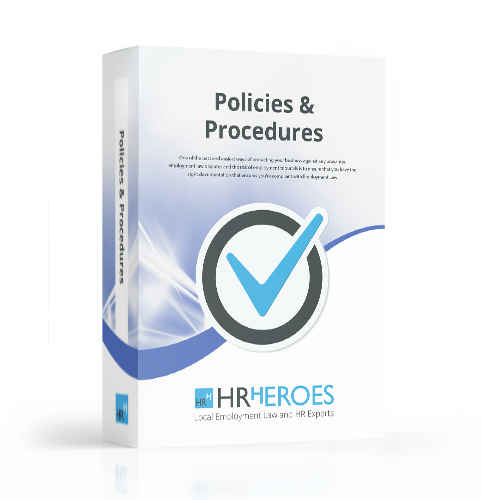 You are required to provide your employees with all of the rights there are entitled to by law so our Paternity Policy and Procedure will give you all the details you need to ensure you are compliant with employment legislation in an easy to use format. Our Paternity Leave Policy and Procedure detail an employees’ right to take Paternity Leave and details the procedures that need to be followed.